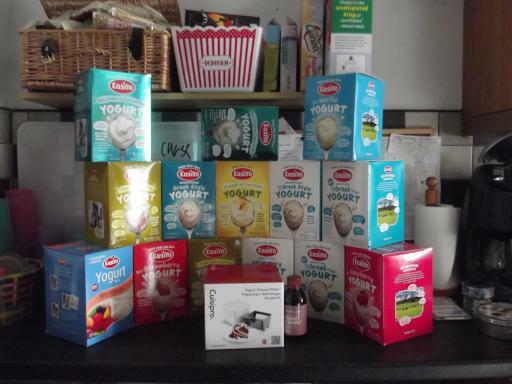 Last year our yogurt maker broke - in truth it had been not quiet right for a while plus only Jean and Al could eat it. But then I saw that the thermos had been reduced and decided to buy another one - after all the first one had lasted 10 yrs! I also picked up a soft cheese maker which is basically a strainer and something I could have improvised but I figured I was more likely to get around to the actual cheese making with a special thing to help. I also added vegan rennet to the shop as I want to make proper cheese that is Alaric friendly and also Mary safe cheese! RIP Lilly the Chicken 🙁 Was clucking around this morning went for the pre-Jean home from school check and there was a sadly still form. She was the one who grew her feathers back last, and the one who had not laid a proper egg - last few months after a bout of being so ill we thought she would be gone before Christmas (she's the one we were keeping in the shower) she began laying the smallest little perfect eggs and her plummage was at last brown and full like the others. I hope the last year an a half outside of the battery farm was good to her. Not sure how Jean is going to take this 🙁 She has been looking after them and is very proud of what a good job she has been making (hence I check up on them because she is only 9 and she sometimes forgets stuff like water). And of course Lilly was her chicken specifically. It's no secret that I'm a busy person; often, when I decide to do something, a few years pass before I actually get to do it. So the only way I keep afloat is by the judicious use of computers to track my task lists. I rely on automatic systems to make sure I always know what I need to do today, and what are the most important things I need to do "sometime" that I can do right now. There's no way I could keep all that in my head without forgetting about things and letting people down, or feeling stressed because I'm juggling too much in my mind, or not being able to find the best thing to do when I have a free moment. A few people have asked about what I've done, so here's my attempt to document it. I went through our books and found we had like a shelf of out of date maps of various types so I thought I would do some craft stuff with them. I had a few ideas which I'm sure you will all be getting to see soonly! But I also popped on the laptop to have a little look around the net and found some amazing things on Pinterest. 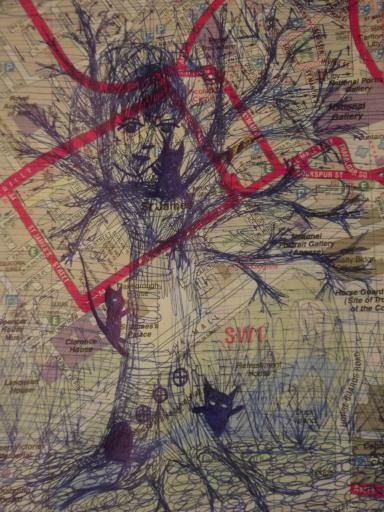 And yeah - so now I have a few of these pictures and lots of butterflies the girls punched out of maps and I have plans for bigger art works and what not! 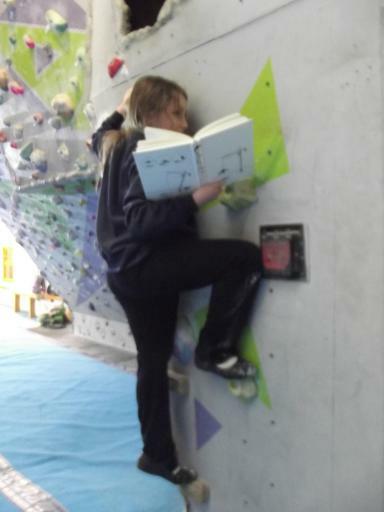 So Jean's friend came up with an idea over Christmas and that was EXTREME READING which he did and took photos of to school. The school promptly nicked the idea or though he is helping coordinate so nicked isn't the right word! Anyway Jean is now Extreme reading - the book of choice is How It Works written by the XKCD comic guy - this was one of her Christmas presents - it was supposed to be mine but she got excited about it when she saw Al wrapping it. It has now been read several times! 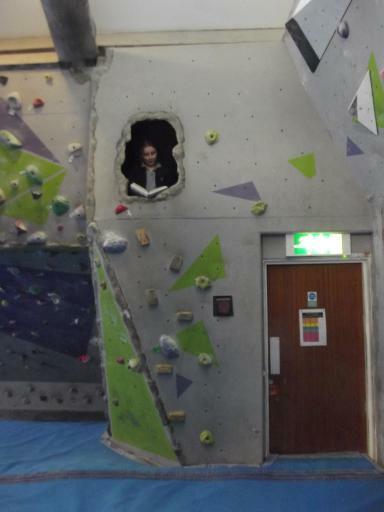 We took it to the climbing wall because extreme sports can always be improved by reading right? 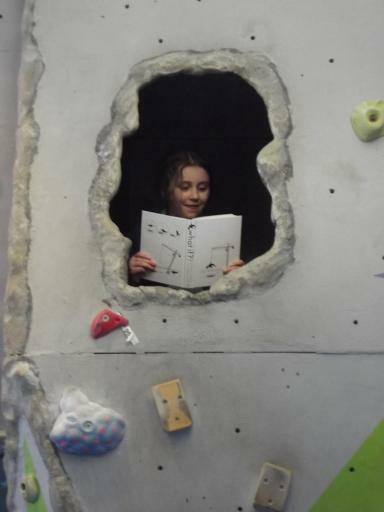 Cause everything is improved with reading... Not sure what we are going to do as a follow up though!